What’s that moving there in the shade? “It’s nothing,” he said, walking up to the spot – “only a rock.” And we turned back to examine the mass of processionary caterpillars winding down a tree trunk. The rock got as far as the fence before he caught it and brought it back for a photo shoot. 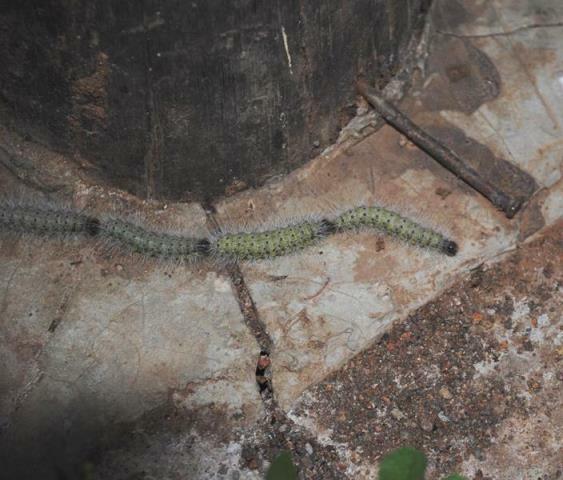 Can 53 Caterpillars do the Conga? 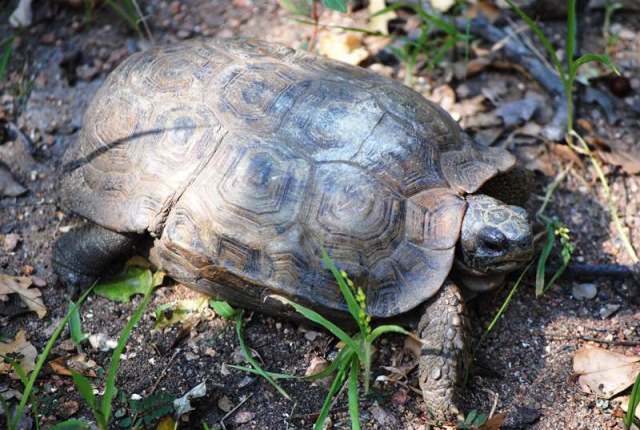 Tortoises are land-dwelling reptiles and like turtles, tortoises are protected from predators by a shell. 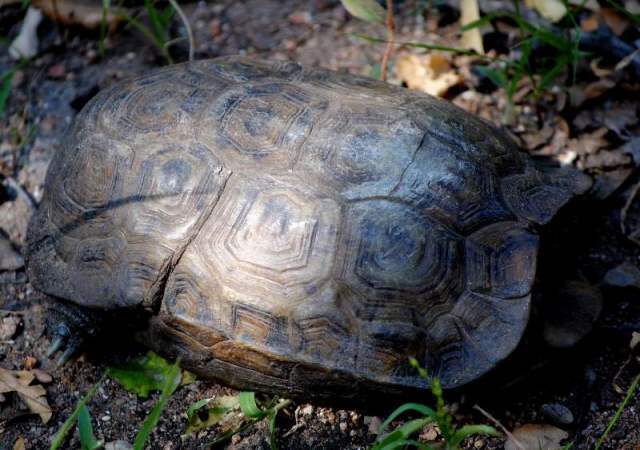 The carapace is the top part of the shell and the underside is the plastron. 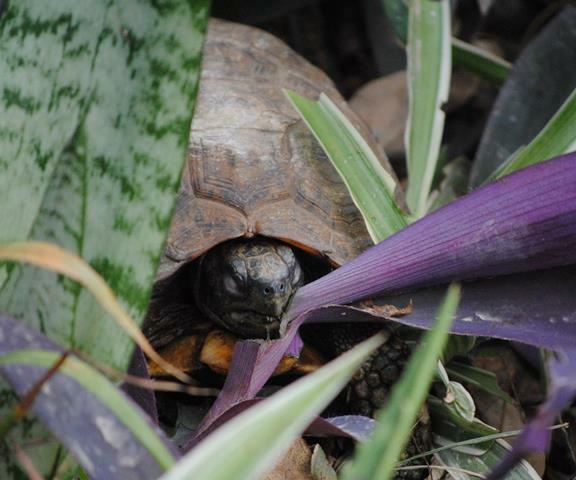 The term “tortoise” or “turtle” usually depends on whether the animal is terrestrial or semi-aquatic. 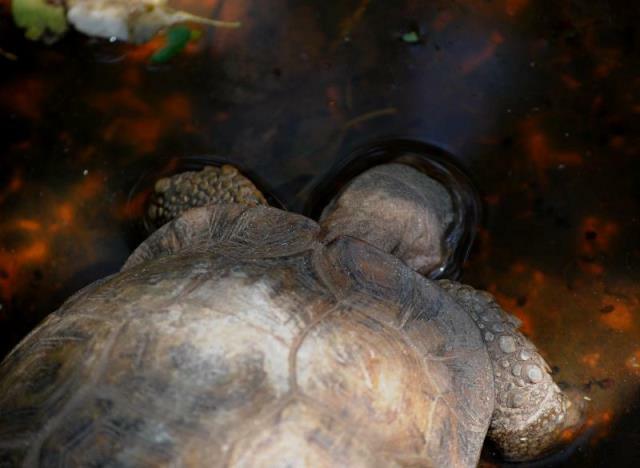 Although a tortoise can have webbed feet, a true turtle has flippers. Does that make “the Rock” here neither a tortoise nor a turtle? Beats me. And stayed there for absolutely ages! Finally, our hinged tortoise emerged for air? And looking around for assistance indicated he would like to get down now. Thank you, very much! Then it was time for the salad bar. After a long leisurely appetizer…nibble here…nibble there, he decided on an entrée and dug in with gusto. 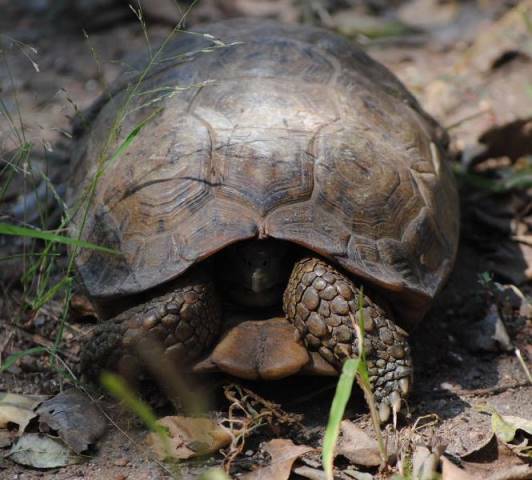 Occasionally, especially if you do a lot of hiking or walking, you can come across tortoise or turtle eggs laid in the wild and left to hatch. Resist the impulse to pick them out and take them home. 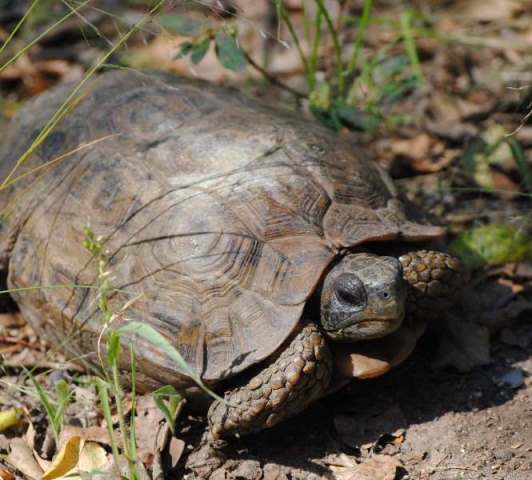 Once laid, moving or rotating turtle/tortoise eggs will kill the embryo. It’s attached to the air bubble at the top of the egg, and if the egg is rotated or shaken, the embryo can become disconnected and drown in the fluid. Large numbers of these creatures enter America each year, sold for pets. 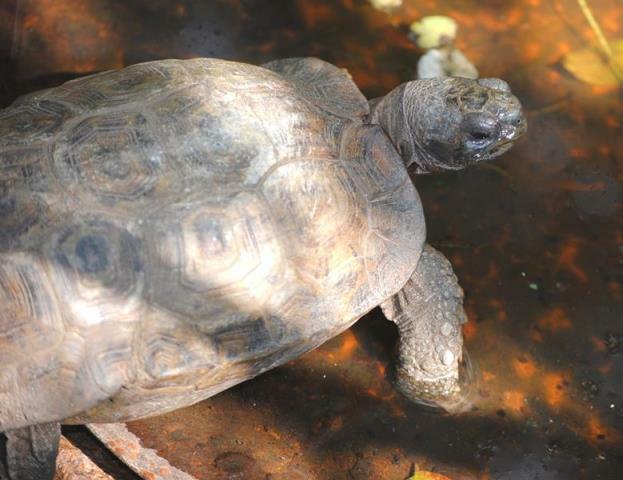 Hinged tortoises are listed as a CITES II animal and every effort should be made to care for them as the precious creatures they are.